Managerial accounting is a discipline that differs from other types of accounting in the sense that it's a more fluid, higher-level type of analysis function that provides information mainly to internal management. Financial accounting, which is probably closer to what most people think of when they hear the word "accounting," is focused on collecting and assembling historical financial data meant to be disseminated to parties outside of the business such as lenders and investors. The primary goal of management accounting is to provide company management with the right information for internal decision-making purposes, planning assistance for future financial transactions and controls for employee behaviors like spending or purchasing. Management accounting, also known as managerial accounting, is an umbrella term that covers many of the facets of financial accounting and financial planning. Managers need to have access and insight to the cost of products and services their company offers, but must also have other details that allow them to conduct "what-if" scenarios and other types of analyses. This helps managers see how, for example, potential purchasing and spending decisions would affect future profits, as well as having other information from budgets and forecasts to aid in guiding the company through other critical financial decisions. Management accounting covers a broad variety of areas such as budgeting for operational and capital expenditures, activity-based costing, analysis of product and operational costs, volume and profit and the profitability of business units, product lines and regions. Many management accounting courses don't cover what some might consider the bread and butter of accounting – journal entries, debits and credits – in any great length. In managerial accounting, the focus lies on collecting information, analyzing and interpreting it and reporting it in various formats from discounted cash flow models to ad hoc schedules customized to different business managers' needs. Internal reports might include margin analysis, or a review of the amount of profit generated by a specific product, region, product line or customer. Managerial accounting might also involve reports such as a break-even analysis, which helps determine where to set prices for certain products and services. These reports could turn up in board presentations, monthly department budget meetings, CEO reports on the state of the company, sales meetings, strategic planning meetings and for many other uses. Why Do Companies Prepare Budgets? Planning is one of the significant parts of management accounting, and budgets are one of the best tools to plan and measure a company's financial performance. For a business to measure its performance over time, it must first establish a benchmark against which to measure. The benchmark, in this case, a budget, becomes the goal to achieve or the standard that management wants its employees to uphold. Budgets serve as a company's financial plan, and they document a strategy and performance targets that guide how the business intends to earn a profit for the upcoming year. This may include details on how much money to invest in specific projects, the number of units to produce or how many customers to serve. Once a budget is formulated, it becomes a yardstick that management will use to measure actual performance. At the end of a period, such as a month or quarter, the company's actual performance will be compared against its budget. The firm will analyze and seek to understand any variances between the budget and actual performance, and the outcomes will be used to improve future performance. Budgets are intended to hold employees accountable for hitting sales goals, keeping costs under certain limits and working towards production, staffing and other goals that ultimately grow the business, or guide it through economically challenging times. What Are Six Steps in the Accounting Cycle? Analyze accounting transactions: Accountants review every financial transaction as it takes place. When an employee makes a business purchase, for example, she'll submit an invoice and payment or check request to the accounting department. An accountant checks and verifies the transaction, determining what was purchased, if it should be recorded as a fixed asset to be expensed over several accounting periods, or if it's a minor purchase such as new office supplies, that can be expensed in the current accounting period. Record the transactions in journals: An accountant makes journal entries to record transactions. If an employee used cash to make a purchase, the accountant would reduce, or credit, the company's cash account, and debit, or increase, the company's purchases account. Both accounts are asset accounts. Post debits and credits to the general ledger: Accountants make entries to accounting journals first, then transfer them to the general ledger. In the days of recording every transaction by hand in paper ledgers, this was a much more involved process. The majority of businesses now do their accounting with the aid of accounting software, and these software packages automatically transfer journal entries to the general ledger. The general ledger represents the master record, while separate journals keep similar accounting entries together. Run a trial balance and make adjustments: At each month end, accountants make entries to accrue certain items, such as revenues that were earned but not yet received, or expenses that were incurred but not yet paid. The trial balance is a report that shows every account in the general ledger and makes it easier to verify which entries have been made for the month or identify accounting errors. Prepare financial statements: Each month, accountants prepare a balance sheet, a profit and loss statement and a cash flow statement. They may also prepare other schedules that serve as detailed support for the three main financial statements. In privately held companies, these financial statements are confidential and are not released to anyone outside of the company. Publicly held companies, on the other hand, publish their financial statements, including footnotes to explain details and make them available to the public on a quarterly or annual basis. Close temporary accounts: Temporary accounts are used for tracking account activity during a given accounting period, and they're typically income statement accounts. For example, revenue earned for the month is recorded in a specific account, and at the end of the month the balance is zeroed out and moved to an income summary clearing account or directly to the retained earnings account. Revenue, expense, gain, loss and withdrawal and dividend accounts are all closed out, and the net profit or loss is recorded in the company's retained earnings account on the balance sheet at the end of the year. In many companies, the person with the title of controller takes responsibility for planning and performing activities that fall under the management accounting umbrella. While a company's chief financial officer or CFO generally has higher-level planning and oversight responsibilities, the controller and his or her team are responsible for accumulating and preparing all the data to support the reporting and analysis. Additionally, the controller handles financial data that the company provides to outside parties, such as bank lenders, or various regulatory agencies, in the case of a publicly held company. This includes tax schedules and information provided to state and federal taxing authorities. Corporate controllers also took on the new responsibility of assessing and documenting the company's internal controls as part of the mandatory compliance with the Sarbanes-Oxley Act of 2002 or SOX. Other areas of responsibility include cost accounting, state and federal tax reports and filings, budgeting, performance evaluations, external financial reporting and special projects. In summary, the main goal of management accounting is to provide company managers with the right information for internal decision-making purposes, to be used for planning future financial transactions and controlling current behaviors such as spending or purchasing. The goals have been refined as technology continues to provide faster, easier access to almost real-time financial data and results, but it still comes back to planning and controlling functions. Technology allows managers to analyze and improve every step of the company's value chain, or all of the personnel and departments involved from the purchase of raw inventory to the final sale of a product and the business administration that takes place in the background. Goals are tracked by forecasting future performance, an important part of management accounting, which might include monitoring and estimating results for new initiatives such as increasing product prices, changing suppliers to lower costs, dropping a non-performing product line, upgrading equipment or offering add-on services to customers. Both management and financial accountants provide accounting information to internal and external users for business-related decision-making. 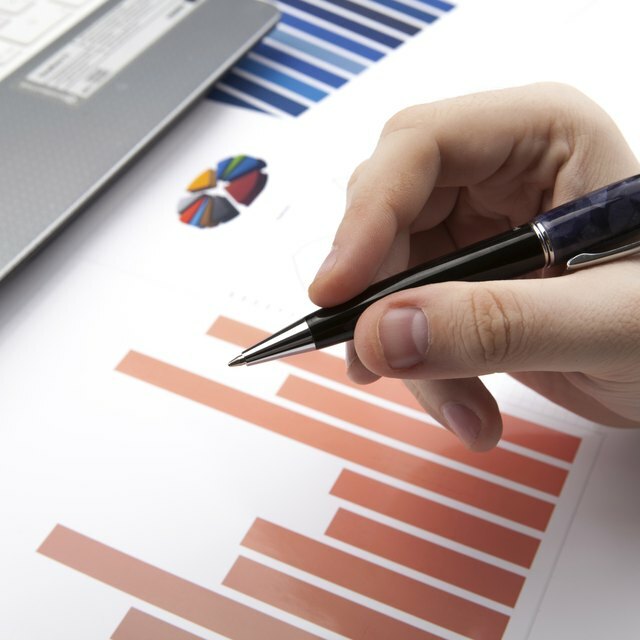 The focus of financial accounting lies in creating information for external users such as creditors, stockholders and other stakeholders, while managerial accounting produces information for various internal company users, including different levels of management and often various departments or groups of employees. Management accounting is more flexible than financial accounting, and it doesn't necessarily keep within the confines of generally accepted accounting principles or GAAP. which is mandatory for financial accounting. Since managerial accounting reports are used strictly for internal purposes, they don't always need to adhere to GAAP standards. Reports include the standard financial statements, but they may also include various ad-hoc schedules, put together to illustrate precise concepts, such as different profitability scenarios if a company operates for the next year with its old equipment, versus spending money on new equipment and offsetting the cost with increased production. Unlike financial accounting which focuses on accurately recording the past, managerial accounting stays focused on the future and often includes preparing forecasts in addition to budgets. While a budget might represent management's goals for the future, the forecast focuses on what management knows will happen in the near future based on historical activity trends, sales commitments and known upcoming expenditures. In contrast, financial accounting stays focused only on historical performance because the results are given out to external parties, and any discussion of the future could mislead investors and other outside stakeholders. Management accounting, because of its flexible and sometimes ad-hoc nature, is more timely because analyses are often quickly assembled with real-time data, while financial accounting sticks to the monthly, quarterly and annual cycle. Additionally, where financial accounting spends its time on historical financial statements that provide a picture of the company as a whole, managerial accounting reports include more details. Reports may also only focus on certain parts of the company and will likely include qualitative information, such as explanations for certain business assumptions or changes. Further, management accounting reports feature quantitative data such as actual accounting results or a forecasted income statement.